Sometimes your Trance tracks can only take you so far, a gentle melodic push from Zenhiser in the right direction is all you need to elevate your productions to epic proportions. With this in mind we created “Trance Chords & One Shots”. Designed to engulf your Trance sound by the means of decadent and melodic chords, chopped into various parts and mastered to sonic perfection so you can assemble in whatever new melody you wish. Packs like “Trance Chords & One Shots” push your production abilities much further by delivering epic melodies in a form for the 21st century producer. In total we added 343 Trance chords, that’s a wealth of chord structures, all easily assembled to ensure your future tracks can reach festival hit proportions. Due to the nature of the pack bpm is not an issue, you can drop these Trance chords into your tracks, add delay and reverb then choose your desired tempo, it’s that simple. Leaving the pack as is would have created a great resource for today’s producers but we decided to take things one step further. We also included 206 one shot samples ranging from euphoric pianos to deconstructed bleeps, after playing around with these sounds for a few weeks in our own studio we guarantee this will become your one stop shop for adding the finishing touches to all your future tracks. It’s basically an Aladdin’s chest for audiophiles and fits perfectly in multiple genres not just Trance. 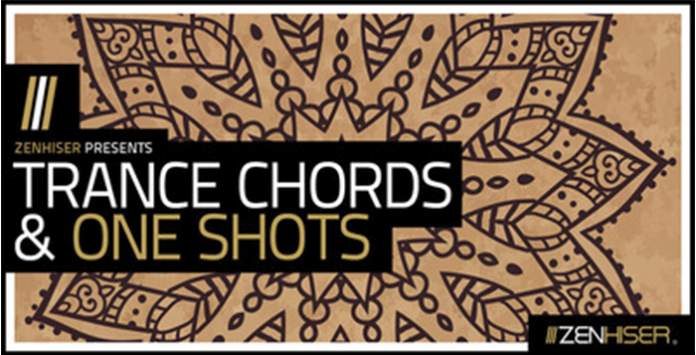 Between the chords and one shots, this will become your go to sample pack for along time to come, it’s the type of pack we wished we had years ago.